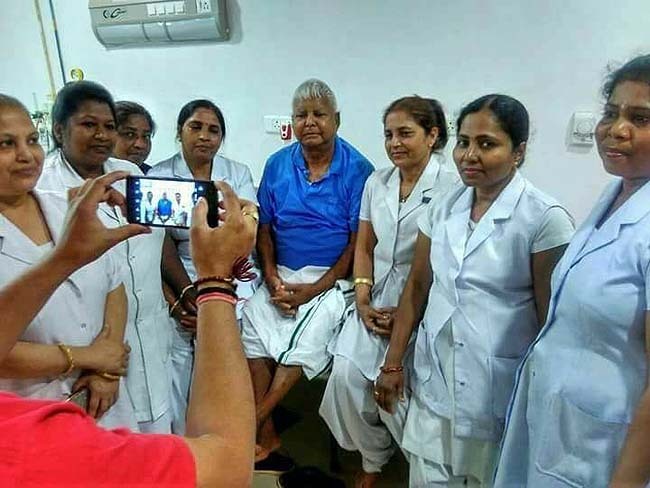 New Delhi, April 10 (IANS) The Supreme Court on Wednesday refused bail to former Bihar Chief Minister and Rashtriya Janata Dal leader Lalu Prasad in the multi-crore fodderscam case. Kapil Sibal appearing for Lalu Prasad cited judgement of the Supreme Court where the court had in similar case granted bail to a petitioner. Sibal said Lalu Prasad has already served 22 months in the cases. CJI replied that he has to serve the sentence in each case. "There is no demand and recovery and this is a case of conspiracy," Sibal said. The fodder scam, exposed in 1996, involved the embezzlement of around Rs 1,000 crore from the state exchequer for the purchase of fictitious medicines and fodder for cattle in the early 1990s. The RJD chief has been lodged in Ranchi's Birsa Munda Jail since a Central Bureau of Investigation court convicted him in three cases related to the scam. He already faces more than 13 years in jail.